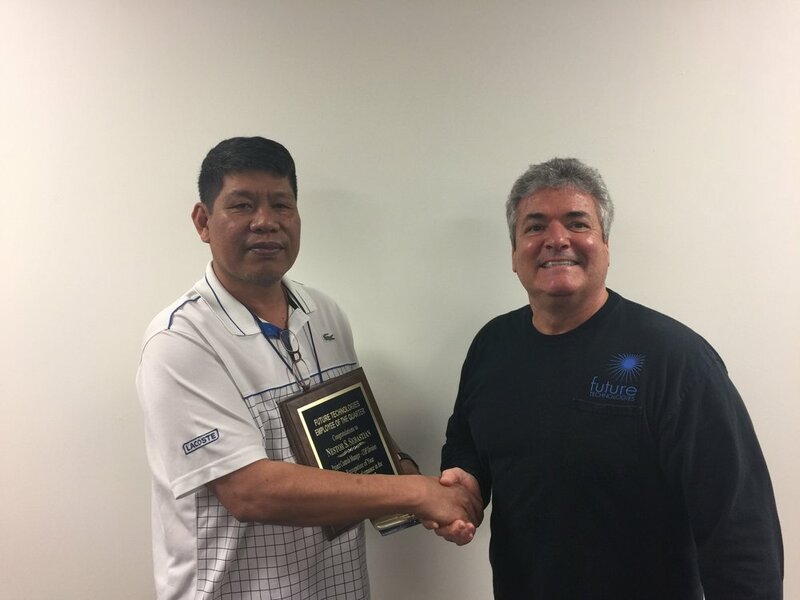 Nestor joined Future Technologies in 2016 as a member of the FT Project Controls Division (Centralized Close Out Package Dept). In this role Nestor has excelled in establishing best practice delivery mechanisms for our Project Close Out Package (COP) requirements. Through Nestor’s efforts and the efforts our field team members, the company has successfully processed over 5000 projects in that period of time. Keep up the good work Nestor! Newer:The Future Is Bright.... Elle Mark SebastianOlder:Ian Gipson Britton has been named Q3 Employee of the Quarter!